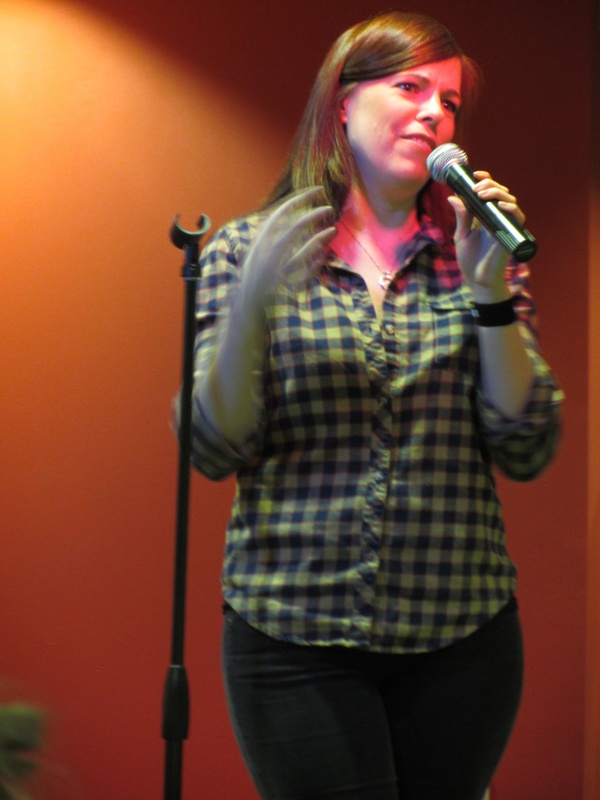 While the event seems atypical for the month of love, fans turned up at the Bonnie to share their love of the paranormal with “Ghost Hunters” very own Amy Bruni. The evening was spent mostly doing a question and answer with the young hunter, asking questions from how she got into the paranormal, to what was the best prank she ever played on her co-workers. Bruni shared her tale of being teased when younger for her obsession of ghosts, and also being labeled “Ghost Girl” by fellow classmates. For many young kids, the teasing might have forced them to stray away from their love of a topic, but not Bruni. It pushed her even more to figure out all she could on the topic of ghosts and other unexplainable things. She went on to explain the job life of a ghost hunter. While many fans already know, the show isn’t about walking into a site and saying Yep! This place is haunted,’ but rather how the hunters will go in and investigate for two days or even longer, depending on how much space they have to cover. They try to prove if the strange happenings going on can be explained by everyday things such as power lines overhead, or some faulty plumbing. If the team can’t “debunk” the strange sounds or events, then their conclusion leans towards the paranormal. Sometimes there are clear signs of activity, which Bruni was delighted to share some of her own experiences of, such as hearing disembodied voices and seeing shadow figures walk by her on investigations. “This was the largest group [she’s] ever been on a hunt with,” Bruni said as the crowd sat in the dark hoping to catch some ghostly activities. Bruni demonstrated a flashlight trick she liked to use that comes in handy when trying to communicate with an intelligent entity. Though the light did flash on and off on its own, it can’t be said if there was real activity around.